I started writing for my kids. They were involved in musical theater and had to act out poems for auditions and the same Shel Silverstein poems were getting repeated consistently. I thought that if I wrote them something new and different, that they would stand out and do well. That's exactly what happened, and soon other kids started asking me to write for them too. Before too long I had amassed a collection of humorous children's poems, but didn't think too much of it...until the musical theatre organization told me that I had to get them published. Once they put the bug in my ear, I had to do it. Sure enough, after a brief wait of eleven years, my first book, There's a Hippo in My Locker, came out of the locker. I get asked this all the time at my school visits. I wish I had a good answer. I'm sure I wanted to be a truck driver or a fireman when I was in Kindergarten and then graduated to professional football player as I got a little older. In high school, I came to a decision point. I really wanted to write for Sesame Street, but there were so few writers there that I made the decision to go into bio-medical engineering, and came very close to heading down that path. I sure wish I could take credit for it. I have to give that credit to my brother-in-law for his great thinking. I visit elementary schools so I can spend time with my readers --people at my level of intellect and maturity. I developed CurricuLaughs in Language Arts which applies music, performing arts, and tons of HUMOR to the most troubling aspects of language arts at each grade level. Writing has opened up this avenue to perform that I would not have otherwise been able to enjoy. I get this question at my school visits, as well, and when I tell them it was Ogden Nash, I need to explain to the students (and often, the teachers) who that is. I describe him as the master of the poetry one-liner, with such famous lines as, "When called by a panther, don't anther" and " Children aren't happy with nothing to ignore, and that's what parents were created for." That would have to be Paul Revere and I by Robert Lawson. I was just asked to write an article on this for Toronto's EYS Reading Association. When I was a GR4 reluctant reader who hated history because I couldn't remember my own name, let alone dates, sequences, and places, my school librarian introduced me to this book. Historical fiction was a way for me to read a fun story and actually learn some things at the same time. This introduction changed the game for me, boosting my self-esteem as I could finally understand what was going on in classroom revolutionary war discussions. 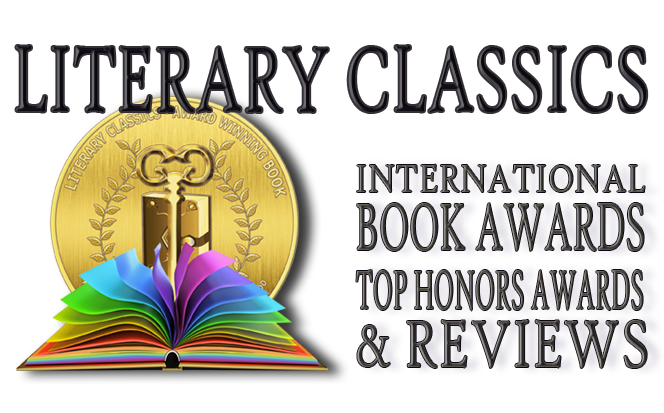 My greatest literary accomplishment was transitioning from writing poetry to prose and getting two awards with my very first piece in this domain, including the Literary Classics Award for Interactive Books. I felt I had a great idea to get kids excited about reading by involving them in a story about themselves, but I was worried about making the transition. I got to play with words when I was writing children's poetry. I thought I was going to have to give that up as I trudged through the start of the book. Then, the light bulb went on and I realized that I could STILL play with words. I threw away everything I had done, started over, and loved the experience. I started by self-publishing and did school visits. I was then discovered by a publisher at an IRA convention, where I got the opportunity to share some of my work. The advice is very Nike: Just do it. Get yourself out there. If you don't make it happen, it won't happen. I would love to offer advice on promoting your books so I could read it and use it to promote mine. I did get started visiting schools and that helped push word-of-mouth. Oh, I am so glad you asked about them. The sequel to this book has been put on hold because there has been demand for using the technology the publisher created for a pre-schooler's book. Both are huge jumps and I am anxious for them to come out. 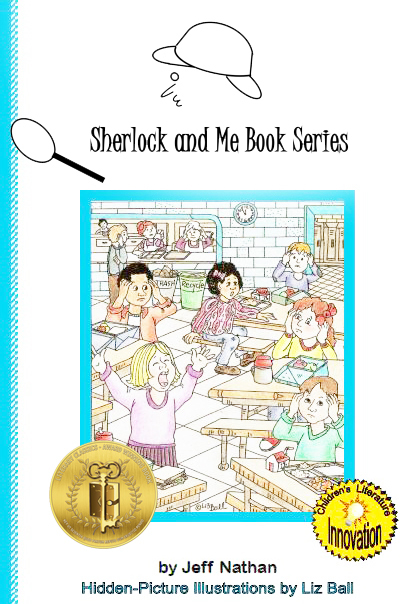 They will both be available at www.SherlockAndMe.com. 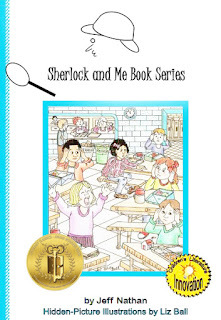 The pre-school book is slated for June, 2016 and the elementary school mystery sequel is slated for release in the late fall of 2016.